Virgin Mobile 's Mobile TV service is facing the axe at the end of January 2008, bringing to an end the UK's first commercial over-the-air broadcast mobile TV service. 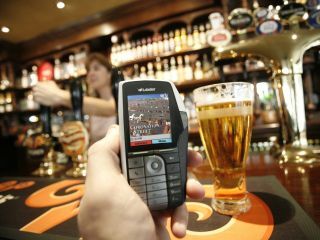 Virgin Mobile has confirmed to Tech.co.uk that it is pulling the plug on the Virgin Mobile TV service early next year. Although an exact date is still to be decided, Virgin Mobile said the mobile TV service would run at least until the end of January. Virgin Mobile's announcement comes after BT Movio - which supplies the Mobile TV service wholesale to Virgin Mobile - cancelled its broadcast TV contract with GCap Media. The reasons for closing down the service have not been confirmed by Virgin Mobile, but a poor take-up of the service, which was the UK's first over the air broadcast mobile TV service when it launched in October 2006, seems the likely reason. Virgin Mobile's Mobile TV service was launched with just one handset available, the HTC -built Lobster 700TV . The Windows Mobile -powered smartphone was intended to be the first of a range of handsets using DAB-IP broadcasting technology to receive the 5-channel TV service (which included BBC1, ITV1 and Channel4). The Virgin Mobile service also offers around 50 DAB radio stations (which will still be available to Lobster 700TV owners even after the TV service closes). However, no further DAB-IP capable handsets have been added by Virgin Mobile and the larger-than-average Lobster 700TV hasn't exactly flown off the shelves. Virgin Mobile said in a statement that it was working closely with BT to confirm the timetable for the closure of the BT Movio service. Virgin Mobile confirmed that the service would run until at least the end of January 2008. "We will ensure that all customers affected by the closure are kept informed of changes to their existing service," the Virgin Mobile statement promised. Virgin Mobile customers using the Lobster 700TV will still be able to access DAB radio stations free of charge after the TV service shuts down, the mobile company confirmed. Virgin Mobile's statement concluded: "Virgin Mobile is proud to have led the way in offering the first broadcast mobile TV service in the UK, and we will continue to work to offer groundbreaking new services to consumers."